Above you will see two installs of a custom iron entry door and a decorative iron garage door located in San Jose near Los Gatos and Santa Clara, California. 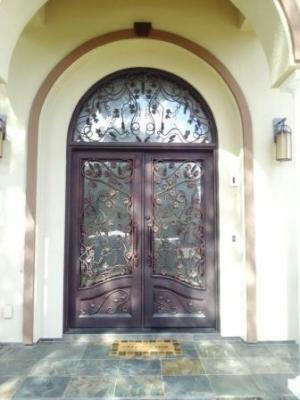 These unique and beautiful iron doors make a grand first impression for any guests or on lookers and the install of an iron product in your home can not only transform the look of your home but can also boost your equity. 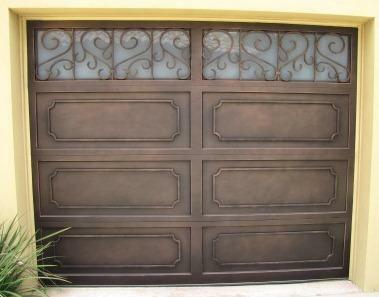 Signature Iron Doors is the proud provider of high end wrought Iron products to the nation and we manufacture the best ornamental Iron entry doors, iron garage doors and iron railing around. Our wrought iron entry doors are built custom for you and provide the security you need paired with the elegance you want. Click here to visit our website and contact us for a quote or if we can help you with any of your iron needs.